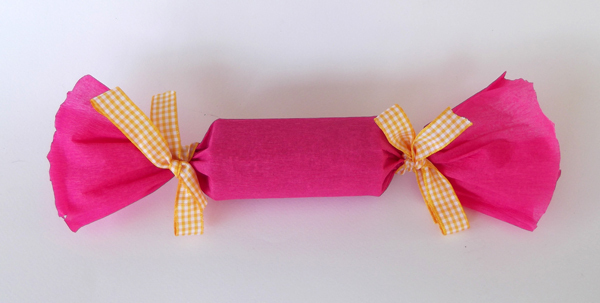 Toilet paper roll tubes are ideal for making small boxes to hold small presents, jewelery and gifts. 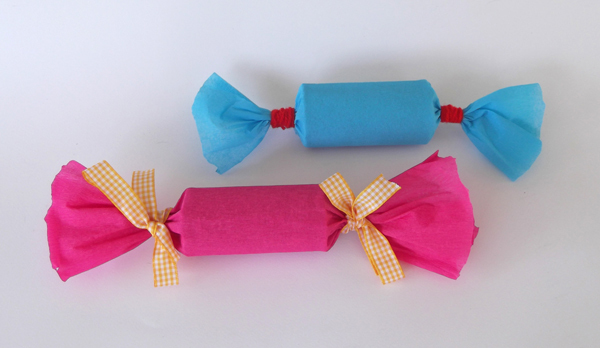 One or more recycled toilet paper rolls. For each box you need one roll. 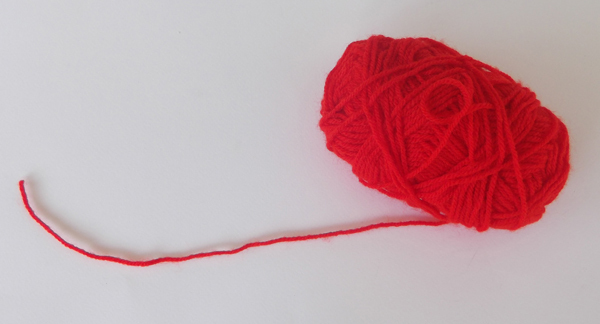 Twine, ribbon or knitting yarn. 1. 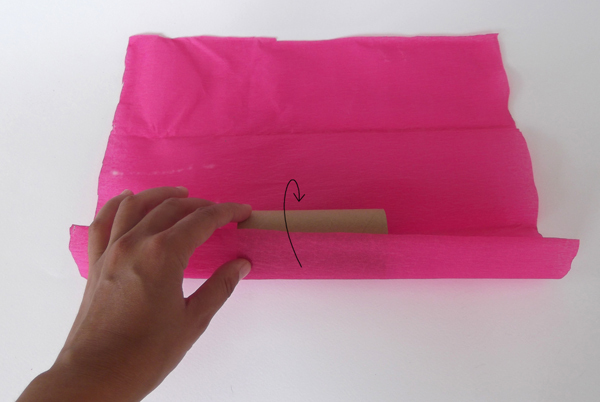 Cut a piece of crepe paper, large enough to wrap the roll around. 2. 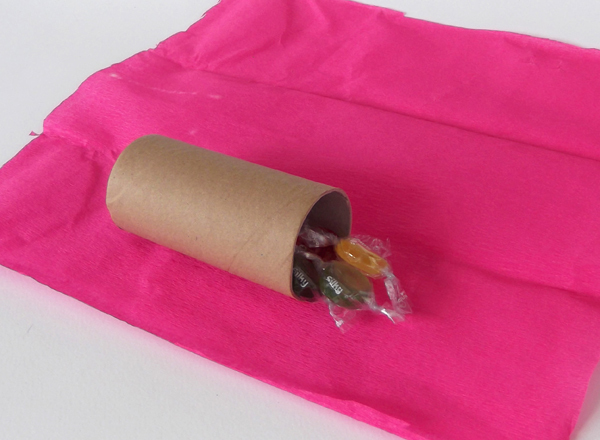 Fill the roll with some candies. 3. 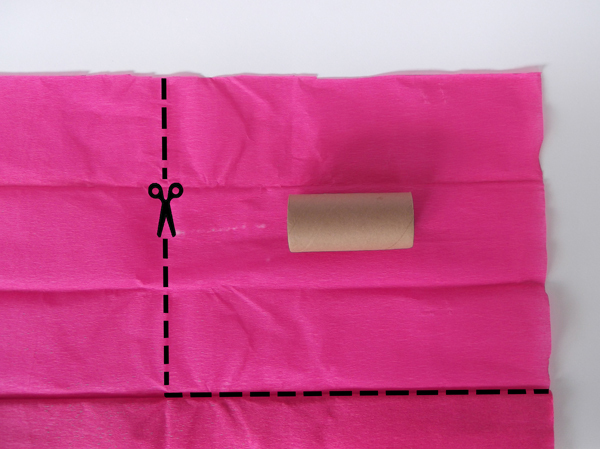 Roll the piece of crepe paper around the candy-filled toilet paper roll. 4. 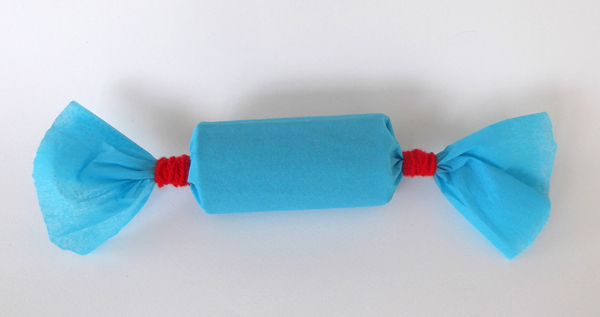 Twist the ends with your hands. 5. Tie both ends with ribbon. Apart from ribbon, you can experiment with a large variety of materials to tie bows, like knitting yarn, twine, thread, rope, fabric strips etc.